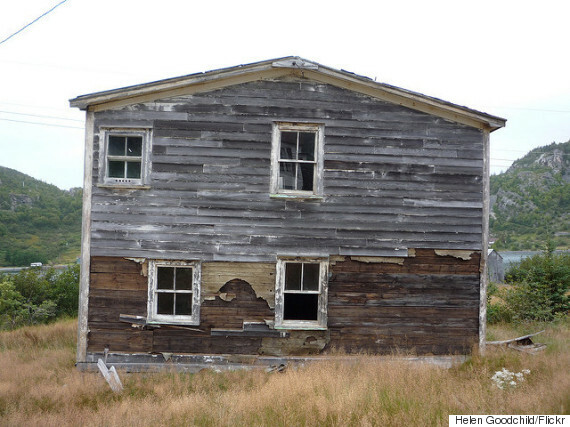 This Newfoundland town lost almost 50 per cent of its population in the past two years. Canada's smallest town keeps getting smaller. The population of Tilt Cove, N.L. was considered sparse a few years ago, when there were just seven residents calling the town home. But since 2015, the population has almost been cut in half, and now just four people live there year-round. 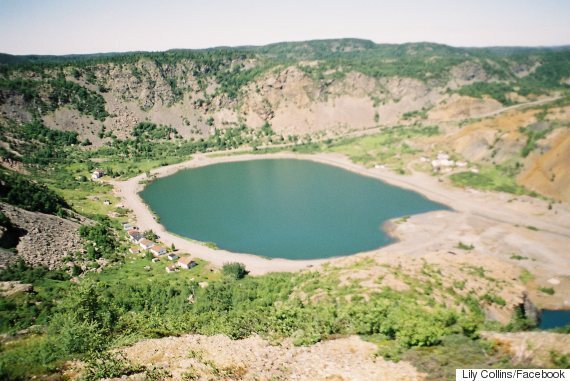 In its heyday, from the late 1800s to mid-1900s, Tilt Cove, located on the Baie Verte Peninsula, was a booming mining town. But long gone are the grocery store, movie theatre, bowling alley and pubs that residents once enjoyed. When the town's mine closed, it didn't take long for businesses to follow and for most of the town's estimated 1,500 residents to move away. By 1956, there were only 57 residents left. Now, members of just one family are the last hangers-on. Margaret Collins serves as the town's clerk, and her husband, Don, is mayor. Collins' brother lives next door, and is married to her husband's sister — both are town councillors. 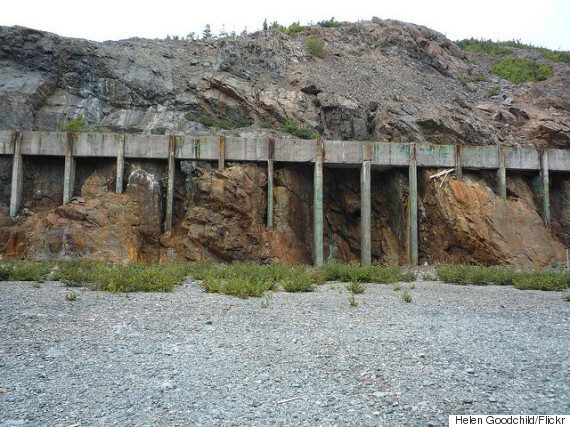 "We all love living in Tilt Cove," Collins told The Huffington Post Canada. "There's a peacefulness and quietness here. As you get older you want that more." Collins' mother and mother-in-law, both proud Tilt Cove residents, enjoyed that peace and quiet up until the end. One passed away in 2015 and the other in 2016. Last year, another elderly resident decided to move to the next town over, La Scie, which is 12 kilometres up the road and has a population of almost 900. Situated on a pond surrounded by hills and the remnants of several old buildings, Tilt Cove is about as quiet as they come. Collins makes sure the town's bills get paid so the water keeps running and the two streetlights stay on. The plow comes by after a big snowfall, but sometimes it takes a while — Tilt Cove has no children, so it's not exactly top priority on the province's plowing list. Winters "can get a little lonely," said Collins, but she and her husband will sometimes travel to La Scie for groceries and errands, or make the trip to Corner Brook to visit one of their two daughters. The summer, however, is a different story. Several people have cottages in Tilt Cove, bumping the population up to 10 or 11. 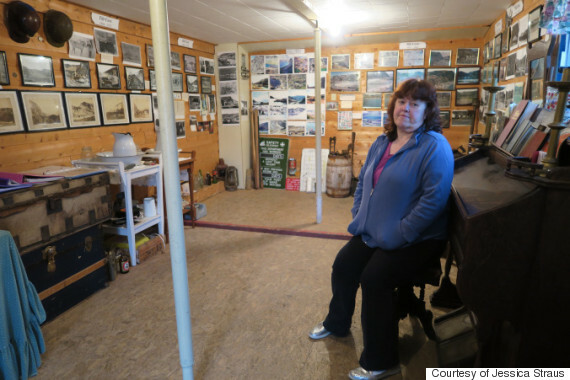 Tourists, curious to see Canada's smallest town, also come to visit — and Collins is happy to tour them through her "The Way We Were" museum, which holds every scrap of history, memorabilia and photograph of the town she's managed to dig up over the years. No one, however, is more charmed by the tiny town than her grandson, who visits frequently in the summer, said Collins. "My God, he loves the freedom here. There's so much for a kid to do, like to go out on the boat, on the quad, or explore in the woods." Collins, who, like the other residents of Tilt Cove, is in her 50s, says she would like to call the village home for the rest of her life. But she realizes that with aging comes certain challenges, and she might see a day when all the residents have to leave for more populated, convenient areas of Newfoundland. "But I don't really like to think about that," she said softly, adding she's not sure what will happen to the town if all the residents are gone one day. "I don't know. I just really don't know."